Almost everyone I know is busy. They feel anxious and guilty when they aren’t either working, or doing something to promote their work. I recently wrote a friend to ask if he wanted to do something this week, and he answered that he didn’t have a lot of time, but if something was going on to let him know and maybe he could get rid of work for a few hours. This made me think about how we glorify being busy, and the impact that this path takes on our lives. Our two main metrics for success are money and power, and they drive us to work longer hours, sleep with our phones, and miss important moments with our families and friends. People are busy because of their own ambition or drive. They’re addicted to busyness, and fear what they might have to face in its absence. The present hysteria is not a necessary or inevitable condition of life. It’s something we’ve chosen. Even children are busy now. Their schedule is jam-packed with classes and extracurricular activities. They come home at the end of the day as tired as adults. Exhausted. Dead on their feet. I named this article ‘’Being Busy is a Disease’’ because it is! Constant stress is linked to all sorts of issues. From migraines and anxiety to sexual disorders. All these things come secondarily to what it’s called - Time Compression. It’s when you put too many items into too little time, and you feel stressed about it. But that’s the world we live in. You’re driven to do more than feels comfortable. The mind needs to unplug, and the body needs to relax. But we’ve become so accustomed to this lifestyle that we can’t get out. So why, exactly, is it so hard for us to slow down? 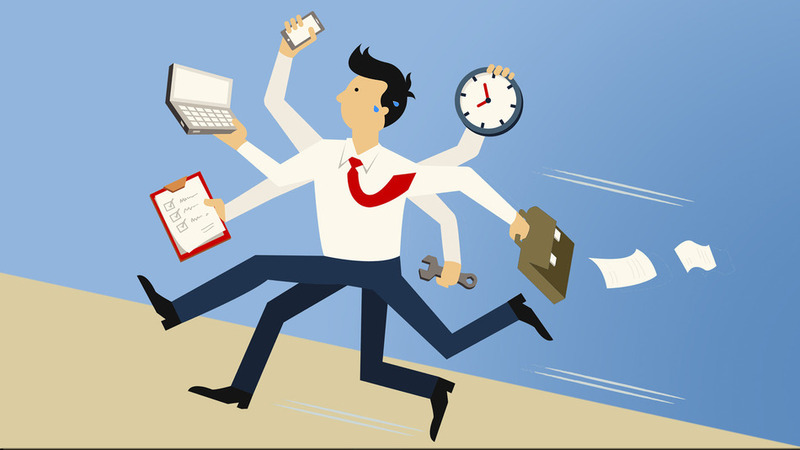 Why ‘Busy’ has become the new normal? It could be, because we love feeling important and needed, which is what busyness provides us with. Busyness serves as a kind of existential reassurance. A shield against emptiness. Obviously your life cannot possibly be insignificant and meaningless, if you are so busy, completely booked, in demand every hour of the day. The rise of Facebook and Instagram has just magnified those ideals. We’re constantly comparing our lives to others’ lives (or, at least, what others choose to show us) and trying to keep pace socially and materially. Everyone thinks they’re only as good as their ability to produce. We get into this social construct, where you can never be happy just relaxing. Because if you’re relaxing, you’re a loser. And so we fill our days with work and social commitments. Lots of activities and distractions. There’s a lot of societal pressure to be involved in a lot, and always have a full plate. Focusing on how busy we are is like putting on a mask. It keeps us from connecting on a deeper level with each other. In this day and age, we can all readily accept that we lead busy lives. This shows that your mind is elsewhere, thinking about work you have ahead of you, or something you just finished. Instead of, you know, the people in front of you. But are we really as busy as we think we are? Most career-driven people probably think they work way over 40 hours a week, and spend far less time doing other things. But time is vast. We have 168 hours in a week. If you want, you can have all the time you need, and life can be pretty chill. We overestimate the things we don’t want to do, like work. And we underestimate the things we do want to do. Negativity tends to stand out in the mind, more than positivity. Simply tracking how you spend your time, is the first step to breaking free of the ‘Busy’ trap. It’s also a good way to identify all the ways we waste away the free time we do have. Like checking Facebook and watching TV. And what about those of us, who really do clock 12+ hours in the office each day and spend more time with our friends on Snapchat than in real life? Start by recognizing that you’re mostly in charge of how you spend your time, and that you can choose differently. Sometimes that means saying - No! We all have the same amount of hours in the day. Idleness is not just a vacation. It is as indispensable to the brain as vitamin D is to the body, and if we are deprived of it, we suffer mental affliction. The quiet that idleness provides is a necessary condition to see life as a whole. It is, paradoxically, necessary to getting any work done in a proper manner. Our history is full of stories of inspirations that come in idle moments of daydreaming. It almost makes you wonder whether idlers aren’t responsible for more of the world’s greatest ideas and inventions and masterpieces, than the hardworking. As the great John Lennon once said: “Time you enjoy wasting, was not wasted.” Which is true. Oh! This is really important: Stop telling people how busy you are. Take a pause when someone asks ‘How are you?’ and give a proper answer, instead of relying on the ‘Busy’ line. Stop wearing busyness as a badge of honour. There’s a lot more to your life than your to-do list. Life is too short to be busy.